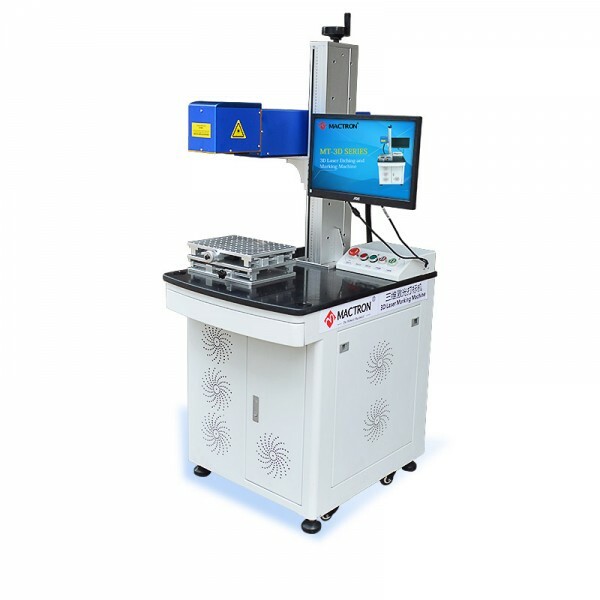 3D laser engraving machine adopts core components with high-speed and high-precision 3D galvo, and with optimized 3D software and control system. These ensure it could engrave large-scale areas maximum 600 x 600mm, curved mode surface with depth 10mm and deep engraving craving with depth 1mm. Let’s watch a video of 3D laser engraving on a curved surface of a metal ball by 3D fiber laser engraving marking machine. (1) Subvert traditional 2D marking mode, it can engrave many different 3D shapes, for example, slope, cylinder, cone, ball, and so on. 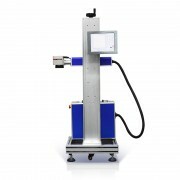 (2) Equipped with the advanced 3D galvanometer scanner, within 0~60 mm height, it could generate very precise laser spot. It could mark on the 3D curved surface. And the marking quality is uniform with the scope (0~60 height). (3) Perfectly present target graphics on workpieces, avoid deforming such as elongation, slope. (4) The border won’t be “ignored”. Everywhere is marked uniformly. (5) The 3D marking engraving software could import chart exported from the mainstream 3D software in the market, and edit those charts in a simple way, easy for operators. 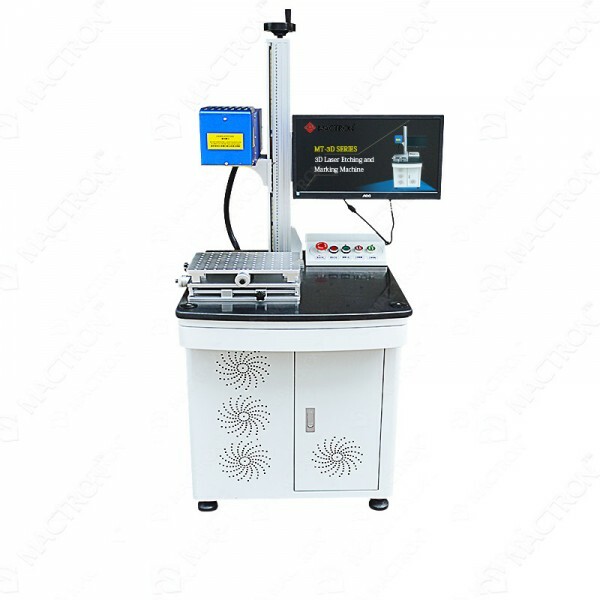 (6) It adopts marble platform, improves the smoothness, stabilization and anti-seismic property of the whole 3D laser machine. (1) 3D focusing galvanometer of 3D laser engraving machine. The key components for 3D dynamic focusing system adopt original and imported parts from the top brand manufacturer in the industry. Optical design: adopts innovative aspheric lens and the special design on the basis of laser beam characteristics. Dynamic axis: High-speed linkage was chosen, rapid response time, equipped with THK Japan high precision linear guider with high stability and long time. (2) Laser Source 20W / 30W / 50W / 100W optional for 3D laser engraving machine. Max. Raycus or IPG fiber laser source according to customer’s requirements, perfect laser beam and long lifetime with 10,000 hours. (3) 3D Software Configuration System for 3D laser engraving machine. a) Self-designed LenMark software: Open interface, can be customized according to specific requirements. b) LenMark 3DS software: high-quality processing on 3D curved surface and relief. c) Software individuality for various industry: Laser marking on moving workpieces, visual positioning, edge cutting for embroidery and other industries software. There are 2-axis or 3-axis on the working table, can be moved forward 4 or 5 directions. Customers can choose the different direction per request. Singapore imported lens, which is optimized to provide a flat filed image with a diffraction-limited spot size in micron scale over the entire scan field. 1. Welcome to send sample material to us for testing laser engraving marking effect for you. 1. The whole 3D laser engraving machine‘s warranty is 1 year. Any parts have a quality problem during the warranty period, We will send you a new replacement for free. And Customer affords the replacement shipping cost. 2. The training video, detailed manual, and catalog sent with the machine. The customer could study the operation of the machine by watching the clear training video. 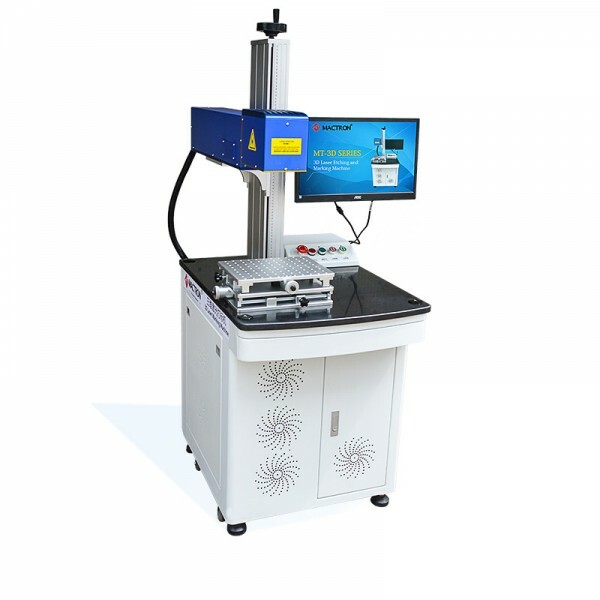 And the use of 3D laser engraving marking machine will be very easy. Our primary products include laser engraving machine, laser marking machine, laser cutting machine, laser welding machine, and laser spare parts. 2) Where is your 3D laser engraving equipment applied to? Our 3D Laser Engraving Machine is suitable for engraving large-scale area object maximum 600 x 600mm, curved mode surface with depth 10mm and deep engraving craving with depth 1mm and so on. High quality and precision are the featured properties of our laser marking machine. Our laser engraving marking machine employs the domestic leading “Smart Engraving” technology, which could clearly engrave 2mm characters and 1mm letters on the materials.